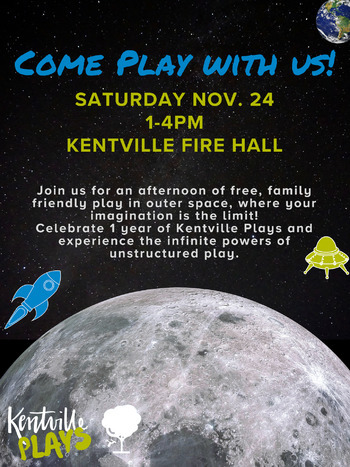 Kentville Plays in Outer Space! Join us for an afternoon of free, family friendly play in outer space where your imagination is the limit! Celebrate 1 year of Kentville Plays and experience the infinite powers of unstructured play!